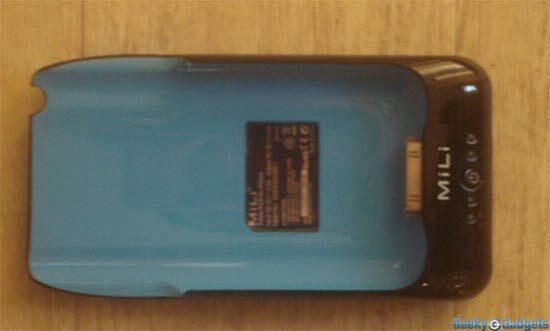 Everyone knows how poor the battery life on the 3G iPhone is, the latest battery pack accessory for the iPhone is the MiLi Power Pack. The MiLi Power Pack is compatible with the 2G and 3G iPhone, and is designed to charge your iPhone and give you extra battery life. From the specs on the box, the MiLi Power Pack will give you up to 350 hours of standby time, up to 6 hours of talk time on 3G or 12 hours of talk time on 2G. You will get an extra 6 hours of browsing on the Internet over 3G or up to 7 hours over WiFi, audio playback is up to an extra 28 hours and video is up to an extra 8 hours. 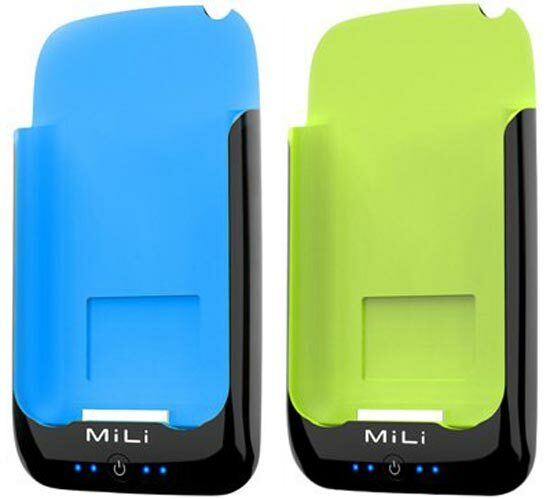 The MiLi Power Pack comes in a variety of colours, including blue, grey, green, white and orange, the design is pretty good, the iPhone slides nicely into the dock, and it also allows you to sync to iTunes whilst connected to your PC. 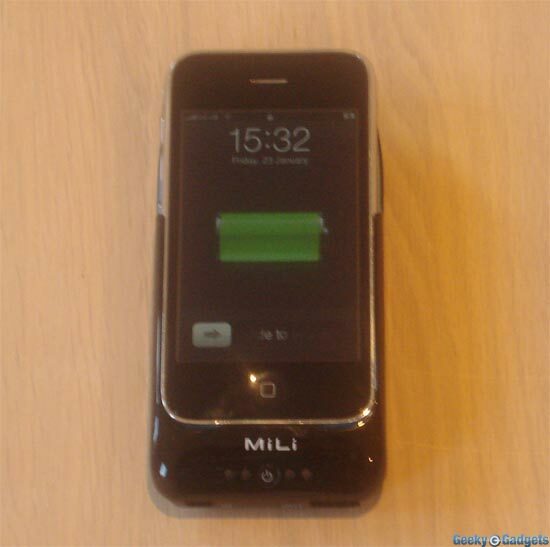 The dock is finished in a sleek black plastic, similar to that on the back of the 3G iPhone, and it has blue LEDS on the front which show the charge status. It connects to your PC via mini USB, and it also has a USB out port which lets you charge any other gadget that can be charged via USB, which could come in handy. I will be giving the MiLi power pack a good test over the next few days to see how it performs, so check back next week for part 2 of our review of the MiLi Power Pack. 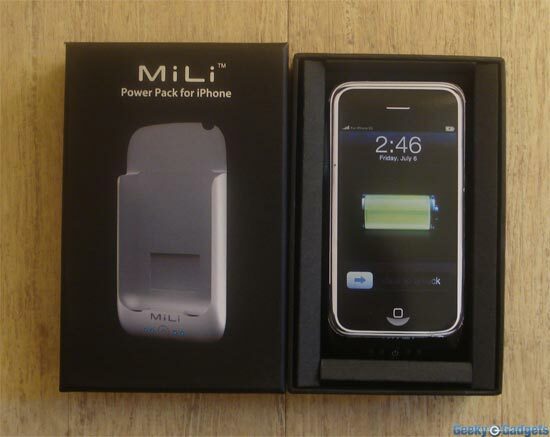 The MiLi Power Pack is available for £44.99 (about $62) from Juice Pack. You can read part 2 of our review here.